Kasey Cronquist likes to tell a story about a retail partner of his who found a way to boost flower sales by 300 percent. The retailer, an Oklahoma grocery chain, had stocked its shelves with flowers grown in California. But since flowers have this tendency to look alike no matter where they're from—and many of them are from Columbia or Ecuador—the store decided to paste a label on those bouquets. The label was all of two words: "American Grown." 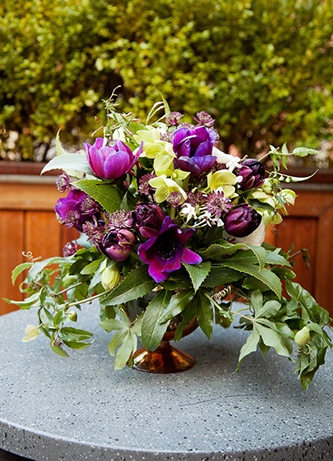 "That, to me, was one of the first great anecdotes," said Cronquist, CEO of the California Cut Flower Commission. "It was evidence in the marketplace that when we label our products, customers care." But with Valentine's Day a heartbeat away, this also might be a good time to point out that 80 percent of the flowers that will change hands on this most American of holidays were not grown in America. In fact, of the estimated 224 million roses given and received on Valentine's Day, a mere 2 percent sprouted on domestic soil. These days, South America supplies most of them. In the run-up to Valentine's Day, up to 120,000 boxes of cut flowers arrive here each day, 91 percent of which touch down at Miami International Airport. There's a reason for this, of course: Imported flowers are cheaper, not just because foreign labor is cheaper, but because the 1991 Andean Trade Preference Act eliminated all import tariffs on American-bound blossoms from below the equator. Still, there's a growing body of evidence that Americans are troubled by the idea of importing a commodity that could easily be grown here, and a growing number of consumers have made it trendy to buy local flowers. "It's not a trend—it's a movement," said Teresa Sabankaya, who runs the Bonny Doon Garden Company near Santa Cruz. Sabankaya sells only locally grown flowers because "my customers appreciate that," she said. "There's no reason we have to import from South America when we have American rose growers right here in California." According to Sabankaya, more consumers are interested in where their flowers come from, nowadays, and they're willing to go out of their way to buy American. "As a culture, we're shifting," she said. "In response to concerns about the economy and jobs and the environment, there's a desire to connect with our natural surroundings—it's like the slow food movement." In fact, it's the slow flower movement. 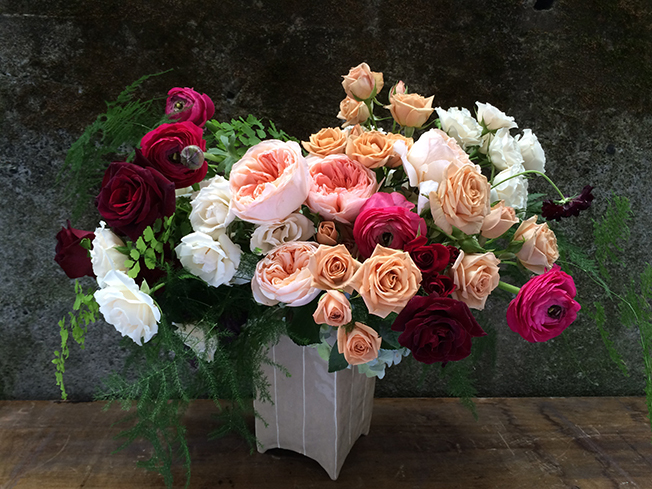 Debra Prinzing runs Slow Flowers, a site that lists farms and florists that sell domestically grown blooms. (Valentine's Day designs by some of her florists are featured on this page.) "I launched in May of 2014 with 250 members," Prinzing said. "Now, we're up to 680." Imported flowers, she believes, will never go away, but "the needle is moving—consumers want local." But how many consumers is that, exactly? A precise number is hard to pin down since there's no readily available data on American-grown flowers as a percentage of all flowers sold. Still, according to figures from Certified American Grown, while 74 percent of consumers have no idea where their flowers come from, 58 percent would buy American blooms if given the choice. Demand is clearly growing based on supply-side statistics, too. Prinzing's' data shows that the number of flower farms in America has grown by 16 percent since 2007 (the latest figure stands at 5,903 farms) and, as she says, "somebody's buying those flowers." Debra Kaye, who owns the Bear Creek Farm, has no doubt that consumers are increasingly interested in locally grown flowers, such as the dahlias she grows on her farm in Stanfordville, N.Y. "Just as there are more people interested in the footprint of where stuff is coming in from Ecuador, people are more aware of the footprint we're leaving—the gas it takes," Kaye said. Even customers who don't care about carbon emissions or global footprints , she says, have a compelling reason to buy local flowers. "They actually last longer because they haven't had to travel," she said. "So they look better and healthier, and people really do see that." As for the higher cost of American flowers, Sabankaya says it's not extremely high—"a few pennies more," she says, and she assumes that cost herself. Kaye adds that for common flowers such as daisies, the price difference between local and imported is "miniscule," though she admits that specialty flowers like the dahlias grown at Bear Creek Farm are substantially more costly than those flown in. "But it's like anything else," she said. "It's a split market—you have your Walmarts, and you have the higher end." "We're inviting Americans to experience our flowers and come meet the flower farmer," said Cronquist, one of the event's organizers. "It's highly likely that Americans won't travel to Bogotá." Probably not. But 24 percent of Americans will buy flowers for Valentine's Day, and some of them, at least, will care about where they come from. "Flowers are kind of the last frontier," Kaye said. "Just as we've seen the farm-to-table movement—and there are locavores—it's finally starting to happen now with flowers. And it is indeed a trend; it's a trend that's here to stay." American Grown Field to Vase from AmericanGrown Flowers on Vimeo.